Amy, from Eat, Sleep, Decorate, shared this gorgeous paint chip calendar! Patti, from Old Things New, shared her beautiful beach Table Scape. Krista, from The Happy Housie, shared a beautiful and easy way to update your vases. Katie, from Upcycled Treasures shared her gorgeous new DIY Beach sign. 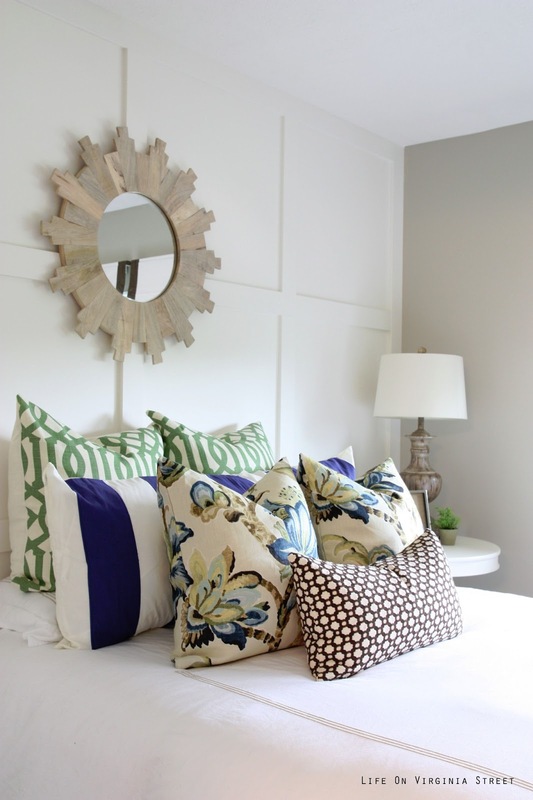 Sarah, from Life on Virginia Street, shared her gorgeous new Guest Room! Kat, from Blessed Life Atop a Cake Stand, shared her husbands 30th Bday party, those hats are actually cakes! Amazing! Faith, from Pikes Place Blog, shared her Childs Rainbow Bday party! Heather, from The Southern State of Mind, shared this gorgeous drink cart she created! 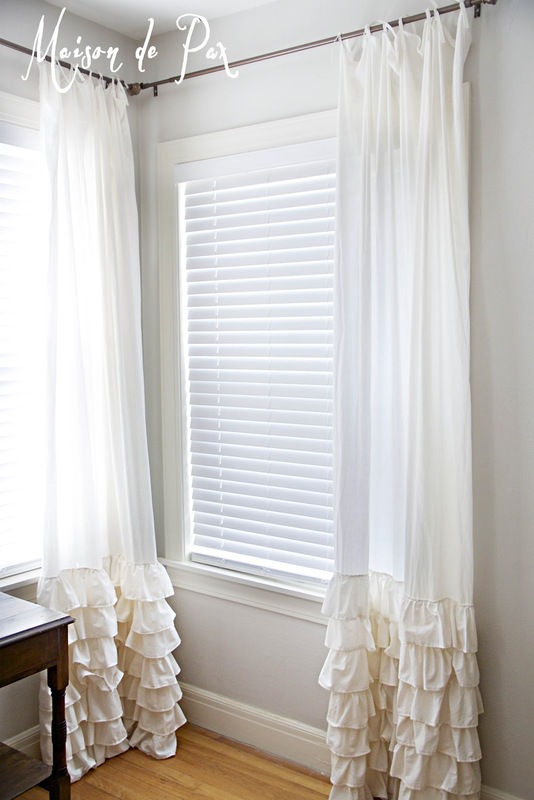 Rachel, from Maison De Pax, shared her gorgeous new DIY Ruffle drapes! 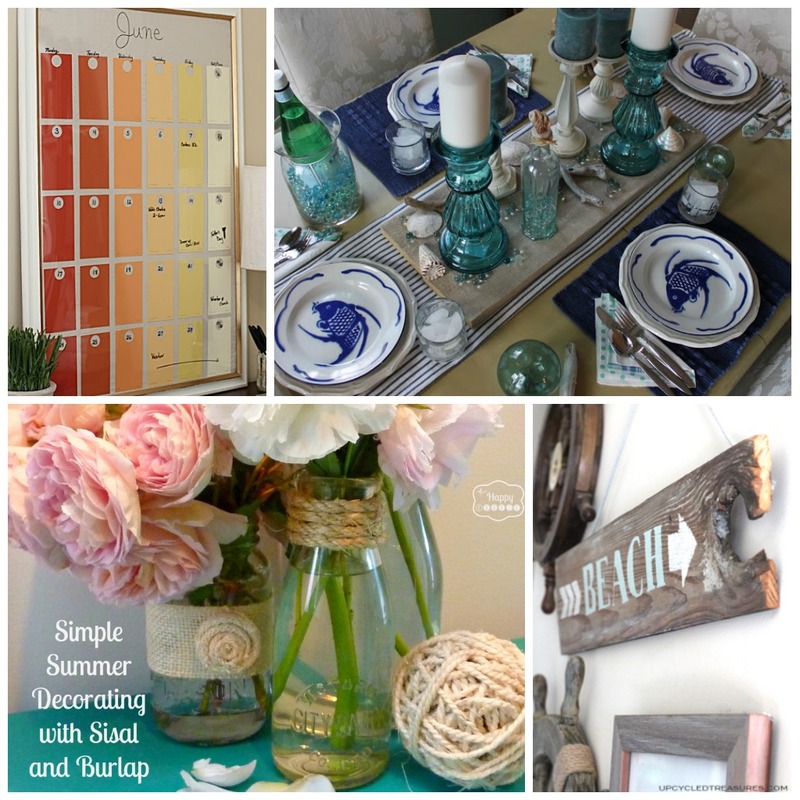 Heather, from Setting for 4, created a beautiful beach themed mantle. 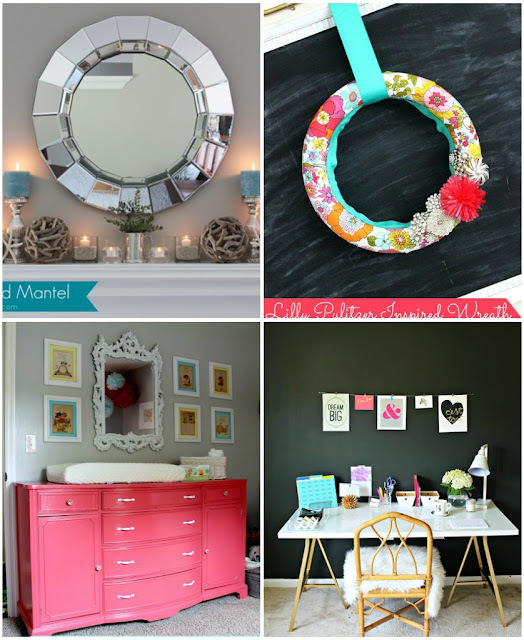 Jenna from Rain on a Tin Roof shared a Beautiful wreath and this gorgeous baby nursery. Shannon, from Burlap and Lace, shared her stunning home office, Love that black wall! Aimee, from Twigg Studios shared this beautiful Rustic Apple Tart. Thanks for hosting, Miss Rita! I hope you're having a wonderful weekend! Thanks for hosting another great party! Happy Sunday! Hi! Thanks for hosting and thanks for the feature of my changing table turned beverage cart! The guest room is gorgeous! Have a great weekend. Thank you hosting Rita! 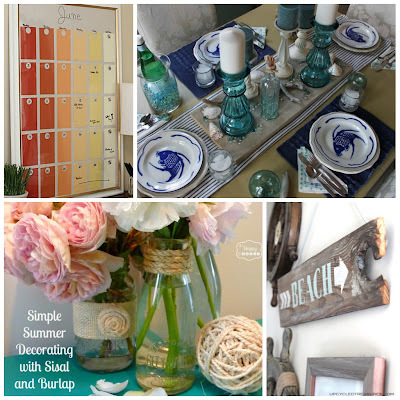 So thrilled you featured my burlap and twine summer decorating ideas! Thanks for hosting this fun weekend party. thanks for hosting - I am a new follower! Thank you so much for the party, and I am LOVING the features you picked! Hi Rita! Thank you so much for hosting the party and for including my beach sign! So many great ideas -- thanks for hosting!